*NOTE* - Apologies for bad audio on my end this week, we didn't find it till after the show. Will be fixed next week! This week features special guests MemoriiCard & Diasean! We talk Twitch news and caller questions including the announcement of new Twitch Affilaite emote slots, TwitchCon 2019 (NA) announcement, DrLupo deciding to turn off his camera, and YOUR caller/viewer questions! 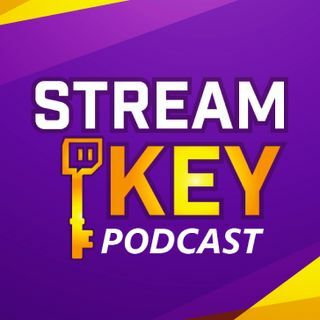 The Stream Key Podcast is live on our Twitch channel every Friday at 11am-1pm EST if you'd like ... Maggiori informazioni to join and get your own queston answered. Terry - thanks for your comment! We are working on evening out the audio more, these are side effects of the new studio space. We just bought a mixer to help with this. Glad you enjoy the show! mother than that, the podcast is good, I enjoy it. Thank you!